JOED VIERA/STAFF PHOTOGRAPHER-Lockport, NY-Sarachana Chase stands at her booth at the Kenan Center during their 100 Craftsman event. Sarachana a Breast cancer survivor became interested in healing stones after friends brought her some stones in the hospital "they helped me feel better". 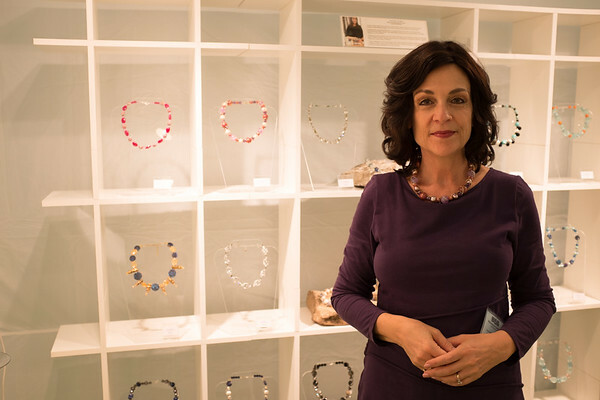 Chase a Williamsville Criminal Lawyer took a jewelry class while in the hospital and set out to make healing stone jewelry look better.